Are You Certified Cloud Architect? 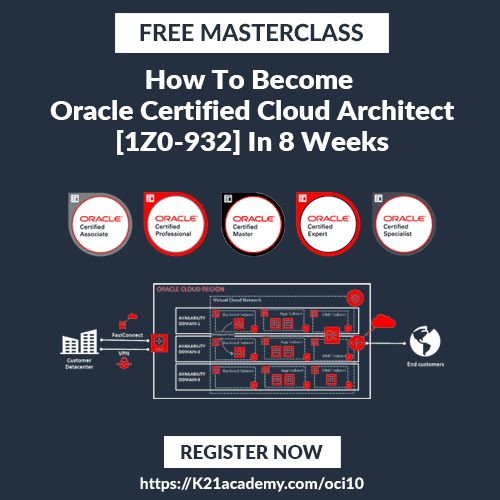 Watch Video & start your journey for Oracle Cloud Architect Certification 1Z0-932 & Everything You Must Know including 8 Weeks roadmap, exam topics, sample dumps, and common mistakes that you must avoid. ✔ Who should go for Oracle Cloud Infra Architect Certification?